At Domtar, our position as a forest products industry leader is rooted in our ability to focus on sustainability across our manufacturing processes. That’s apparent in the great progress we’ve made toward achieving our 2020 sustainability goals, especially through our waste-reduction initiatives. Much like using every part of a tree is a responsible forestry practice, the beneficial reuse of manufacturing byproducts is a key component of sustainable operations. In fact, 74 percent of our pulp and paper mills’ manufacturing byproducts now are beneficially reused instead of being thrown away. That’s much higher than our industry’s 47 percent average reuse rate. Since 2013 alone, our pulp and paper mills have reduced the amount of waste sent to landfills by 36 percent. One example of our ongoing waste-reduction initiatives is our work with lignin, which is the natural glue that holds wood fibers together. 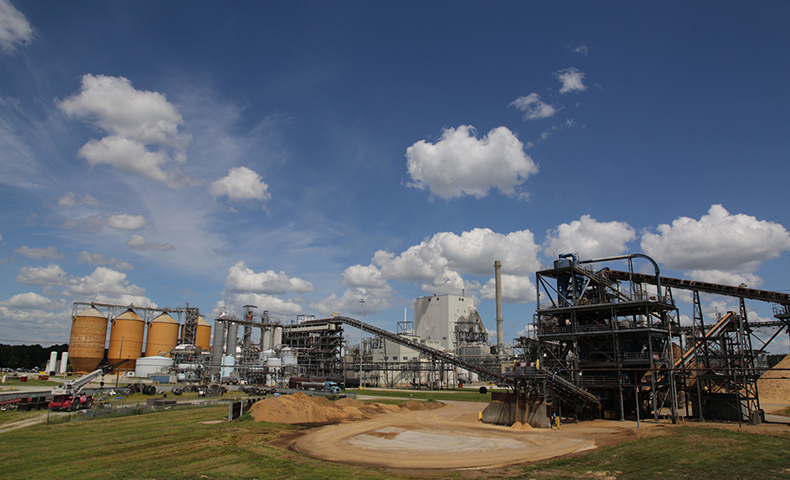 Lignin is a byproduct of the kraft pulping process, and we used to burn it to generate additional power for our mills. But we now know lignin has value in other applications. Today, we’re exploring its many potential uses as a renewable alternative to conventional plastics and petroleum-based products. Our waste-reduction initiatives go even further than that. Did you know your perfume’s floral fragrance and your toothpaste’s minty freshness originated as crude sulfate turpentine, a USDA-certified, all-natural and renewable byproduct of our manufacturing process? Many of the scents and flavorings in products you encounter every day are derived from byproducts of the pulp- and paper-making process. Our Windsor Mill is expected to extend the life of its landfill by about 40 years because 95 percent of what it used to consider waste is now being reused. For example, consider sludge — a slushy effluent mixture from the pulp- and paper-making process. It used to be the mill’s single-largest waste stream, but now it’s being used as a fertilizer to help grow hybrid poplar trees. Crops in North and South Carolina also benefit from pulp and paper byproducts. Nutrient-rich potassium- and lime-based fertilizers from our Plymouth and Marlboro mills yield healthier crops while saving farmers money and reducing the amount of waste sent to landfills. Turning waste into reusable products that benefit the environment is a win-win situation that’s allowed Domtar to be recognized as one of the United States’ top sustainability leaders, ranking alongside some of the nation’s largest publicly traded companies. The best part is we’re just scratching the surface with our waste-reduction initiatives. Our innovative and agile employees across our 13 pulp and paper mills are always looking for ways to reduce waste through reuse, and we’re excited to see what they come up with next!